Ligonier Living: Joes Bar ....a museum that is well hidden. Joes Bar ....a museum that is well hidden. For those of you that don't know about our local museum that isn't going to be on a map....Joe's Bar has a fabulous collection of stuffed (taxidermic) animals in the back of the bar. I love to show people that are visiting the animals. They range from elephant, giraffe, deer, snake, kangaroo, tiger, leopard...you name it. It's is a MUST for anyone because it is amazing to think that Joe Snyder killed all of these animals (least I think so). You can walk in and head to the back there's some on the first floor then you just take the windy staircase up to the upstairs and there are several rooms filled with them behind glass enclosures. I used to go there as a kid and see them. Sounds silly that kids would go to a bar, but it really is fascinating! Check it out! It is located on the diagonal side of the tavern restaurant. It is right beside the apple store and the closing specialists. Enjoy! 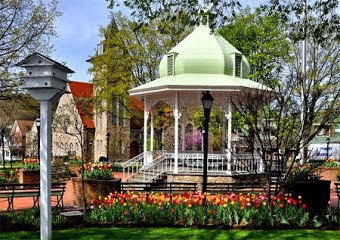 It most definitely is a "must see" if you are visiting Ligonier. While you're there have a nice cold Stoney and play with the bowling machine. BTW - I love having Joe's next to the office. At the end of a stressful Friday, we've been known to get a six or two and pass the bottles around. Hi I met Joe on a plane from NY to Pittsburgh whils visiting my brother. I was in the Royal Navy at the time and lent Joe a book about submarines. 2 Years later I turnrd up at the bar with my brother and his family and asked for my book back. Joe was gobsmacked to say the least. He then took us round his amazing 'museum' which wasn't open to the general public at that time, and we had copius amaonts of American beer (I needs lots to comopensate for not having English beer!!). Anyway I had a great time and Iam sorry Joe is no longer with us. My visit was in 1996! Joe was quite a guy. His legacy lives on in the businesses he built and his family. Joe created livelihoods and good times for many. Thanks for sharing your story, Derek.